Jostens will be at the Webster University Bookstore March 20-21, from 10 a.m.-5 p.m and Friday, March 22 from 10 a.m.-3 p.m. They will have a ring and announcement sale for students. Fine quality and custom regalia will be available for faculty. The University Bookstore is unable to assist a large portion of students who are now inquiring about their Fall course materials. Fall 2018 adoptions/book orders were due this past April, yet materials for nearly half of the Fall courses are severely overdue. Faculty should immediately confirm and submit the course materials they plan to use. It can take 10-21 days to process, source, research and receive course materials into the store. Save 25-50 percent on select items at the Webster University Bookstore's the two-day sale Sept. 20-21. 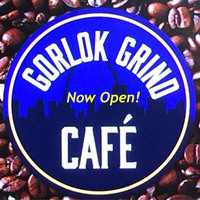 The Gorlok Grind, the new bookstore and coffee shop at the Gateway Campus in downtown St. Louis, is open for business and will hold a grand opening Tuesday, March 29. Giveaways and prize drawings throughout the day include a 20 percent discount on select items and refreshments. The Gorlok and Fredbird, the St. Louis Cardinals mascot, will be there for a ribbon cutting ceremony at 3 p.m. CJ Disck Jockey and Way Cool Balloons will be there from 4-6 p.m., when a drawing Cardinals tickets will be held. 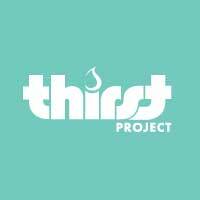 The Thirst Project is a campaign committed to ending the world water crisis that currently affects more than 748 million people. Thirst’s Road Warriors will visit Webster on Nov. 4 from 1-3 p.m. to discuss the water crisis and what community members can do to help. Attendees will be registered for prize drawings. The Webster University Bookstore is holding its Faculty Regalia Event Oct. 13-14, offering faculty an opportunity to purchase their own fine quality doctoral and master’s regalia, which are promotionally priced for this two-day event. Save at the Webster University Bookstore during Tax Free weekend, Friday, Aug. 7 through Sunday, Aug. 9.